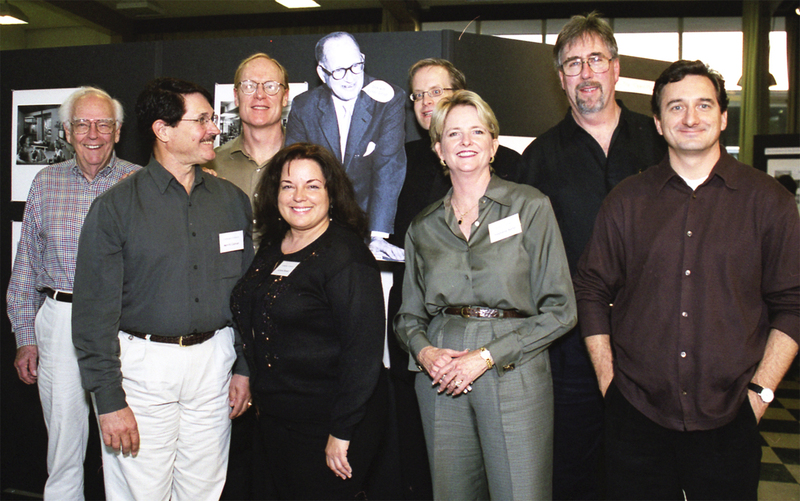 The Eichler 'Historic Quest' committee in 2002: (L-R) Carroll Rankin (then Palo Alto Eichler owner), Merritt Colman (then Walnut Creek Eichler owner), Barry Brisco (San Mateo Eichler owner), Adriene Biondo (Granada Hills Eichler owner), Wally Fields (the Eichlerholic), Stephanie Raffel (then Orange Eichler owner), Marty Arbunich (Eichler Network), and Paul Adamson (Eichler historian). It was an exciting moment for people who love mid-century modernism. Two neighborhoods, both built by Joe Eichler, had been listed on the National Register of Historic Places. 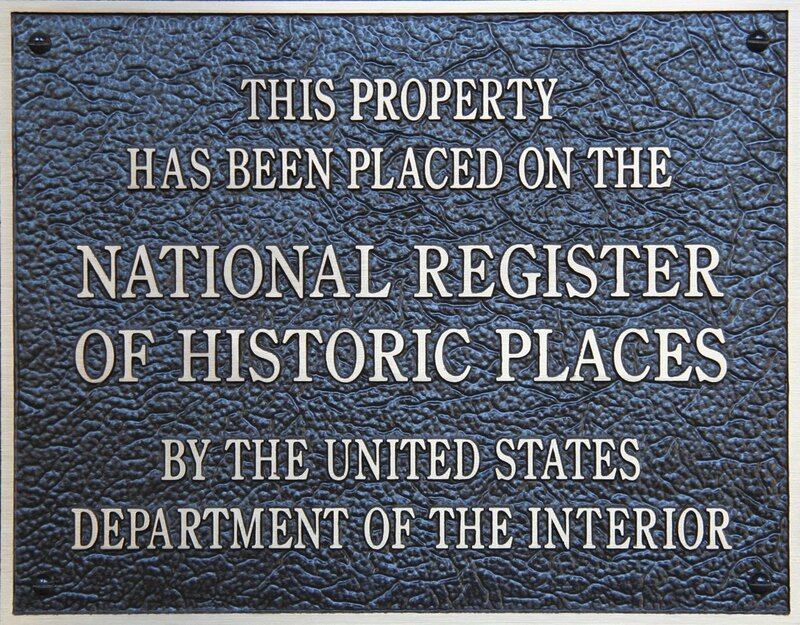 They were among the first modern neighborhoods anywhere in the nation to gain this honor. For four years, between 2001 and 2005, a core committee of eight Eichler volunteers, dubbing themselves Historic Quest, had organized, researched, and built community support to place Palo Alto's Greenmeadow and Green Gables onto the National Register—and won. It was hard work, but they knew it was worth it. For their goal wasn't to get just two Eichler neighborhoods onto the Register. They wanted to get more listed by spurring on residents of other Eichler neighborhoods to pick up the torch. But since then, no others have—so far. Paul Lusignan, the National Register historian who reviewed the two Eichler nominations for the National Park Service, which granted the neighborhoods the coveted recognition in summer 2005, said at the time that the Historic Quest committee's work would make it easier for other neighborhoods to qualify. The committee, he said, "did a lot of groundwork that can be used by future applicants." "We would welcome seeing additional neighborhoods and single homes" applying to the register, Lusignan said at the time. "I definitely felt [Historic Quest] would lead to other neighborhoods applying to the National Register," says Wally Fields, a member of the Historic Quest committee. "There was no guarantee. We didn't think it would spur activity in the very beginning, but over the long term." The long term it will have to be, if it is to be at all. Ten years after the success of the Historic Quest committee, no other Eichler neighborhood has been added to the National Register. "It's been ten years, huh?" Fields says. "That's amazing!"